Last Thursday I published a post about the North Jersey Media Group’s hit job on New Jersey’s public charter schools. This five-part series was rife with errors and distortions. The primary actors behind the scenes of the series are former judge/now attorney Gary Stein of Pashman Stein (his son Michael Stein is a partner), Education Law Center, NJEA, and some anti-charter lobbyists, including Rutgers Professor Bruce Baker. In other words, the same people behind the North Jersey’s attack on charter schools. What’s up with this? 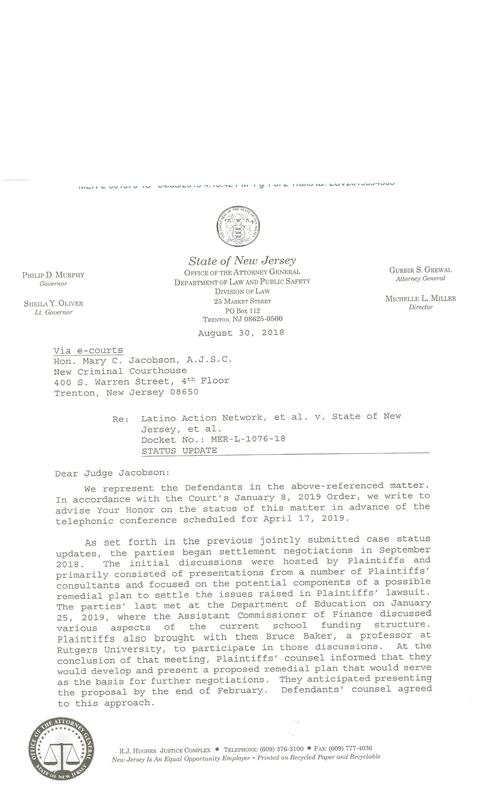 Short answer: As I’ve written before, the lawsuit isn’t really about desegregation of NJ’s public schools. The lawsuit is about halting the expansion of NJ public charter schools. And, for Pashman Stein et. al., this will only happen with a judgement of liability on the part of the state. I’m tired of this duplicity: Why can’t we just be plain-spoken about our intentions? The plaintiffs bemoan the dismal lack in school integration borne from housing patterns, demand politically implausible promises (consolidate districts! Bus white rich kids to inner-city schools! Expand magnets, despite the fact that they are more segregated than the rest of NJ schools!) that would require a panacea for NJ’s narcissitic fetish for local control. Only then — in both the North Jersey article and the lawsuit — do they arrive at their true goal, halting charter school expansion. The lawsuit makes explicit claims about New Jersey’s charter schools, and the failure of the state’s education commissioner to monitor how those schools can exacerbate segregation. New Jersey’s charter school law has language about the need to minimize racial segregation—one of 14 states to have such a provision. Cohen then quotes Shavar Jeffries, president of Democrats for Education Reform, who tells her that any suggestion that charters hold blame for present day school segregation is misguided, as charters “are already a response to residentially segregated neighborhoods.” Jeffries adds that school segregation is “a legacy of white supremacy” and charters, which have been around for about two decades, “have been a response to the legacy of white supremacy.” He voices doubt that there’s political will to truly integrate schools. 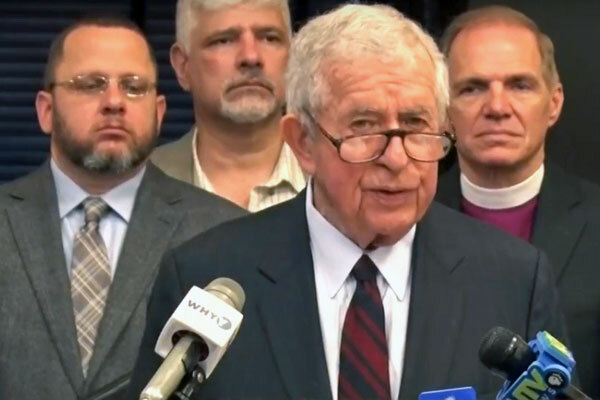 “The lawsuit could be helpful to move the needle, but I am skeptical that it could lead to the kind of racially integrated school that [creates] educational equity,” he said. Jeffries is being diplomatic. He knows — as Stein, Education Law Center, NJEA, and Bruce Baker must — that desegregating NJ schools will only be accomplished through state-ordered consolidation of districts. Mark your calendars: this will occur on the 12th of Never. In fact, we all know this, although increasing our dearth of affordable housing could help on the margins. Finally, I’ll point out that nowhere in the suit is there even an allusion to student outcomes, which is the whole point of NJ charter schools. Gary Stein, Education Law Center, NJEA, and Bruce Baker (along with his fellows-in-arms Mark Weber and Julia Sass Rubin) apparently prefer that Newark schoolchildren attend a school like the once-proud Weequahic High School (Philip Roth’s alma mater) where 6 percent of students meet proficiency targets in 10th grade reading* rather than Uncommon’s North Star Academy where 61 percent of students achieved proficiency in 10th grade reading, 10 points higher than the state average. No wonder 50 percent of Newark parents list charter schools as their first choice on the universal enrollment application. All of a sudden Shavar Jeffries’ reference to white supremacy makes sense for the Pashman Stein anti-charter gang, who appear to think that their privilege extends to policing parent perogatives. Presumptive much? The answer is “yes,” and we see it through lenses like the North Jersey series and this lawsuit. Previous PostThis Newspaper Series Says NJ Charter Schools Are a “Flawed Experiment.” That’s Wrong — And The Series Itself Proves That. 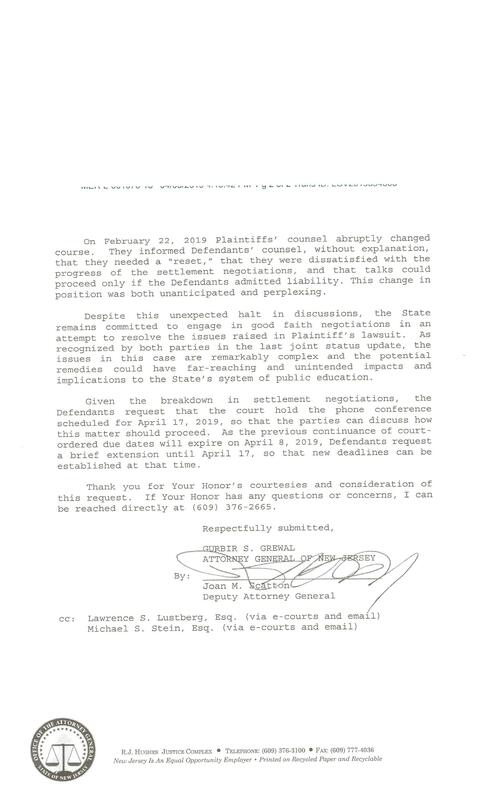 Next PostHere’s A Leaked Memo From the NJ DOE’s Assistant Commissioner When She Directed Special Education in Asbury Park.